Create exquisite handcrafts with high-quality, extra-fine crepe papers inspired by DIY designer Lia Griffith. 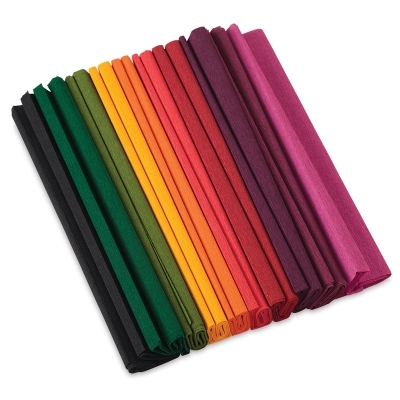 These beautiful, lightweight crepe papers stretch to 130% of their size. Stretch, curl, twist, and cut them into stunning crafts that will last a lifetime. In colors inspired by nature, this set of 10 rolls includes includes Onyx, Evergreen, Juniper, Mango, Poppy Orange, Cherry, Ruby, Aubergine, Merlot, and Raspberry. Each roll measures 9.8”W x 78.7”L.